I drove by a neighbor’s house about a week ago and noticed that his magnolia was in bloom. This wasn’t just a bloom or two, either. The tree was really celebrating all the recent rains we’ve had with a real crop of showy pink flowers. (And that’s before we braced ourselves for Hurricane Irene!) When I saw pink magnolia petals on my own deck later in the day, I knew the second half of the summer season had finally arrived. 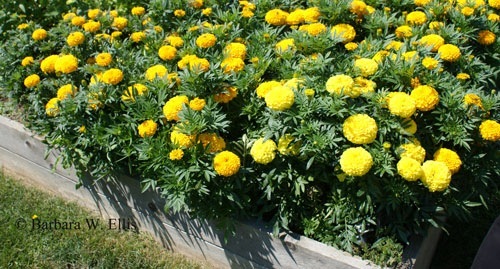 Above: Marigolds, like Tagetes ‘Taishan’, will bloom through heat and drought into the Second Season and right past the first light fall frosts, provided spent flowers are removed regularly. Gardeners who moved down to the Eastern Shore from the north, like I did, commonly don’t think of the growing season as having two parts. Even native Southerners aren’t always aware of them. For gardeners, though, thinking about a two-part growing season makes sense, and there are decided advantages for gardeners who do. Many plants go dormant—or nearly so—as a reaction to long stretches of hot, dry weather such as we experienced this summer. (We barely got any rain from sometime in June into the beginning of August, if I remember correctly. Why don’t I keep notes on these things?) So, when rain comes back into the picture, which it has with a vengeance, plants reawaken from their midsummer sleep and push out new growth. Temperatures have inched down, too, and that also helps plants recover. The good news is that we have weeks of growing season ahead of us before fall frost. How much time do we have? Here in Chestertown, we have from nine to twelve weeks before the killing frost from the date of this post. The N.O.A.A. U.S Climate Normals chart says there is a 50 percent probability of a 32°F frost by October 29, and a 90 percent chance that temperatures will drop below 28°F by November 29. The projected dates vary by city, but the picture is the same: There’s plenty of time to make planting and cutting back worthwhile. I actually started cutting back plants during the drought as they finished blooming—or flowers just dried up. It pays to cut back summer-blooming plants like salvias, coreopsis, and coneflowers (Echinacea and Rudbeckia), because they most likely will produce a new flush of bloom during the Second Season. When cutting, look carefully along the stems to see if new flower spikes are being produced above a set of leaves, then cut just above that set of leaves. 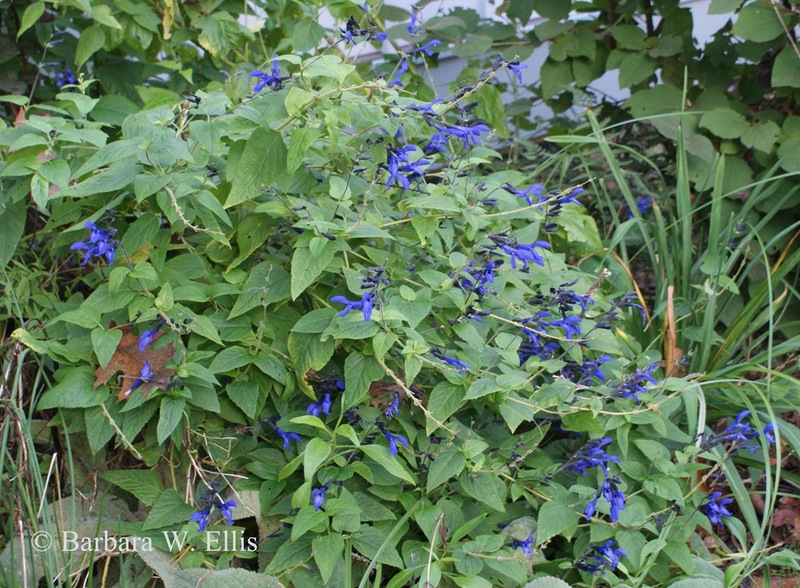 Above: Salvia guaranitica ‘Black and Blue’ is a reliable rebloomer when deadheaded. 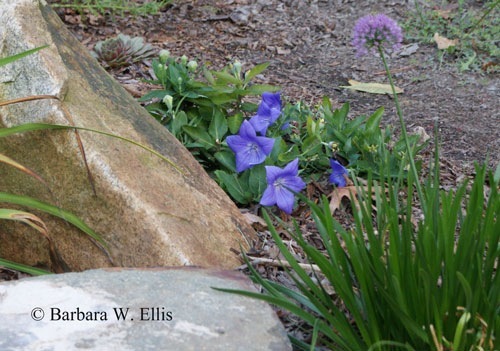 Above: In the interests of full disclosure, the individual flowers aren’t as large as the top photo implies, but few other species bring this impossible shade of blue to the garden. I gave my lavenders and curry plants (Helichrysum italicum) a healthy haircut to remove spent flowers and shape them up a bit. 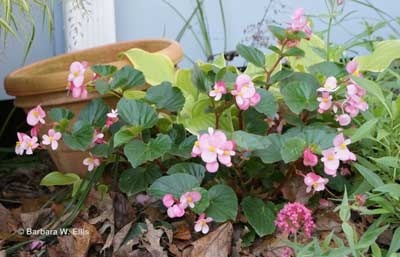 This encourages a flush of attractive new growth, but no new flowers. Plus, there’s plenty of time left over for the new stems and leaves to harden up before cold weather arrives. Think shag haircut, not careful snipping, here. I grab a handful of stems and cut them off, trying to cut stems at different lengths. After I’ve finished the initial cutback, I go back in and shape up the plants to encourage dense growth and a good overall shape. 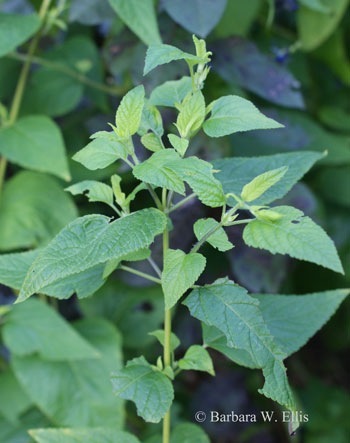 A note about curry plants: They have wonderfully aromatic foliage, but don’t taste like curry. Although I initially planted them as tender perennials, mine have been hardy for four years. They are planted along the edge of a wall where they get perfect drainage. 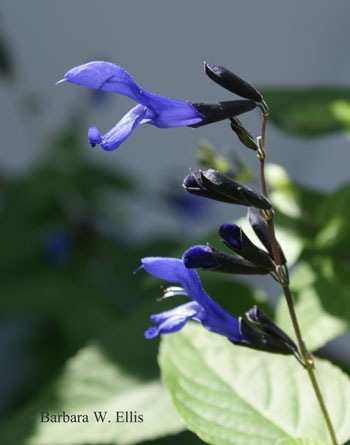 Above: This stem of Salvia ‘Black and Blue’ was cut back when the main bloom spike faded. It its place, it is producing five new flower spikes. Experiment with deadheading to see what plants produce additional flowers—or at least simply look neater for fall. Balloon flowers (Platycodon grandiflorus) are especially rewarding. Mine have bloomed non-stop since early summer because of regular deadheading. Above: Balloon flowers reward deadheading, too. This is tiny Platycodon grandiflorus ‘Sentimental Blue’, which ranges from 6 to 12 inches tall. There also is still plenty of time to add new annuals to the garden. I love looking for plants on sale for half-price (or less!) at this time of year. (All plants—annuals, perennials, shrubs, you name it!) When planting, cut back the tops and trim up the roots as well before setting them in the garden. When planting annuals for fall color, for extra-long bloom, look for spots in the garden where frost generally comes last and you should have flowers well into November. Begonias, marigolds, petunias, ornamental peppers, and many others make great choices. There’s still plenty of time to grow crops of lettuce, mesclun, spinach, and other greens this fall. Plus, while it’s too late to start cole crops (broccoli, kale, cabbage, cauliflower, Brussels sprouts) from seed, transplants are available at garden centers. All are great additions to the fall garden. Fall is also time to plant garlic and perennial onions. Southern Exposure Seed Exchange is a good regional source of both. So, what am I doing in my garden this rainy fall? I am planting shrubs and trees in an area where I am essentially growing a new woodland. Ever since we moved here, I have been working to reduce the amount of lawn on the property—partly because grass is boring but also because I wanted a landscape that was more Bay- and wildlife-friendly. 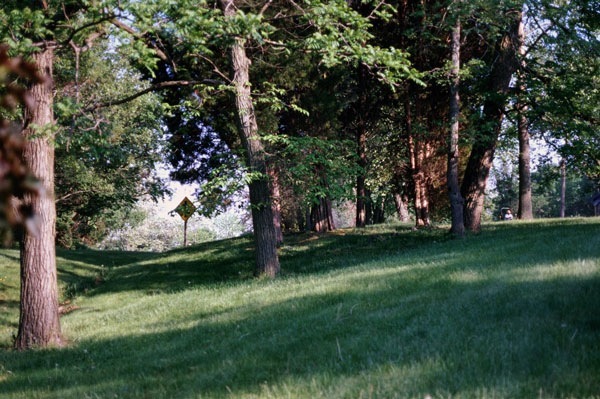 The new woodland is located along one side of the driveway where the former owners tried unsuccessfully to grow grass under a grove of trees. Not only was the grass in bad shape, this was an area that was just awful to mow, because of tight spaces where a mower wouldn’t fit, requiring lots of trimming. Above: To improve wildlife habitat and make mowing easier, I am replacing lawn grass on this site with native trees, shrubs, and wildflowers. 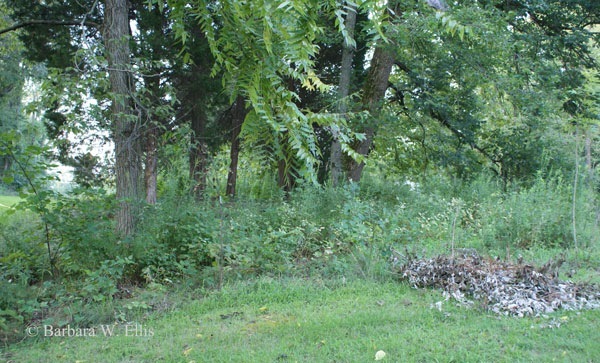 I’ve added a few understory trees on this site over the years, including American hornbeam (Carpinus caroliniana) and American hop hornbeam (Ostrya virginiana), plus a pignut hickory (Carya glabra) and a yellowwood (Cladrastis kentukea) on the sunnier edges. I’ve also added a few native shade-loving shrubs and trees through the years, including redbuds (Cercis canadensis), Carolina allspice (Calycanthus floridus), and bottlebrush buckeye (Aesculus parviflora). Above: While it is still in progress (with pulled weeds visible in the foreground!) my new “woodland” already supports more insects, toads, birds, and other wildlife. All the rain this year means that digging holes and pulling weeds are relatively easy tasks. So, you’ll find me planting more shrubs, plus pulling up weed trees that have sprung up with my Weed Wrench. I’m hoping the end result will look less weedy and more woodland-like than it has this year. With that goal in mind, I’ll be hitting the sale tables to look for suitable candidates for the site, plus I’m planning a trip to the Adkins Arboretum fall plant sale. Maybe I should consider making the new woods a little bigger so I can fit everything in.